I can say with certainty that both love and money make the world go ’round. The problem is, God intended for the world to go around [be motivated, be moved] by love. Money is counter-productive to God’s intent for this world. Money actually makes the world spin in opposition to love. I have to paint this picture for you and provide a foundation for my [not so] Random Musings this morning. 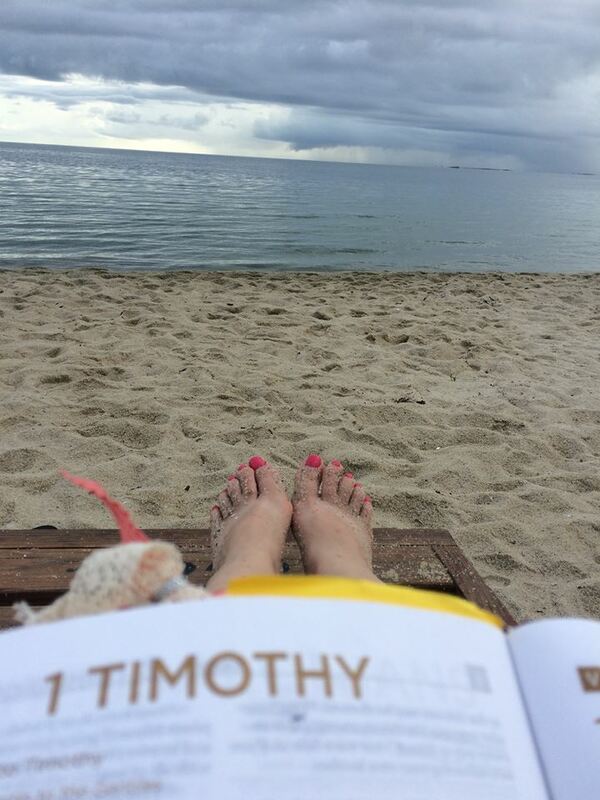 On my last night in Belize, I found myself reading the book of 1 Timothy. Aside from the Holy Spirit, I cannot tell you what prompted me to read this particular book of the bible and need no reason other than spiritual prompting. I found it reassuring once I was engrossed in reading, seeing purpose in each verse. Prior to leaving, I was not sure what it would be like to travel with two of our pastors and and elder of our home church. I knew for certain God is precise with even the most fine details. Each person would be an essential part of the Body of Christ we would bring to the Toledo District. I felt both honor and intimidation. I fought to not let intimidation cripple me so I could glean wisdom from those further along in their spiritual walk. I fought pride too. I’ll save that for another reflective writing. As the Proverb tells us, “Iron sharpens iron.” Each of us likely learned a great deal from each other in our week together. I did. I learned from everyone. Today is decompression day. A week engulfed in mission work, immersed in the Spirit of God, requires a period of acclimation to return to America. Merely traveling through the airport brings a flood of reminders of the world you left behind. The world that shaped you into what you had become, both the good and the bad. It brings a wash of emotions that make you want to cup your hands over your ears and double over like a turtle to prevent the infiltration from returning to your being. It is intensified if you feel a higher* calling to more than short-term mission journeys– at least it is for me. I returned to my home and those I love, the ones I thought about most while I was away. Around my home I see projects in the same place I left them. Mail and dust accumulated. Modern conveniences surround me– things that, while I was away, I did not miss. In fact, I loath them as burdens that have prevented me from a deeper relationship with my Creator. My instinct the last several years has been to sell it all and follow this calling. Both are my anchor. I learned so much about my loves while we were away from one another. I gained more clarification as to why God brought David and I to each other, why His plan was sovereign, and why it had to take this long to get to a place of contentment. God is my foundation. He gave me David as my anchor to be a tether here on earth. I’ll write more about this as we live the next season God has predestined for us. I am grateful for the hope He put in my heart and mind on this trip. I am grateful to have peace and contentment no matter how and at what speed the next several months play out. I am grateful He is in control. On my mind this morning is a paradox one of my daughter’s teachers proposed to her last year. Does love make the world go ’round? She and I discussed and I concluded it does. If everyone on the earth stopped doing what they love at the same time, the world would come to a jolting stop. It would not stop spinning or orbiting the sun but it might self-destruct. The most civilized places on earth are driven by the love of money, the love of power, the love of prestige, self-gratifying things that prompt billions of people to interact with one another at a global level. We might not have electricity if someone walked away from a job they love. September 11, 2001 is a monumental illustration of what happens when love of [fill in the blank] takes over and resets priorities. As earth-shattering as it was, it did not stop the world. It only stopped segments of the world. What if everyone stopped doing that which is motivated by love? It is bleak to fathom. Like a high and low pressure system colliding in the sky, my mind is transitioning from one of the most impoverished areas in the world back to one that is the most wealthy. If you’ve not gone through this, you can only imagine the lightening and thunder erupting in my brain during the transition from one place to the other. Monetary wealth is evident in America. For now, it gives the appearance of richness. Here is the Word of God that is on my mind as I returned to the States. There is no irony that God brought me to 1 Timothy the night before returning to America. Placencia offered me a 24 hour low-dose of reality to return to this crazy world. The Toledo District in southern Belize is very poor. They struggle with some of the same sin issues we do in America and around the globe. What is calling me back to Belize, is the purity of their culture. Many know there is one true God and also believe in the risen Christ for their salvation. They rely on the Holy Spirit to give them peace and strength to cope from day to day. I am compelled to return to the Toledo District as soon, as often, and as long as God wills me to do so. I am content to live in this moment with His guidance to prepare me for the next chapter. I am content because I am not restless trying to engineer and manipulate my own path. The next season is necessary. One cannot fast-forward to the chapter we want to live because we will surely miss important lessons to understand life one day at a time. This is where my contentment comes from– the realization that God used every moment of every day of my life to prepare me for where I am today. I cannot edit out the hurts of my past. The elements of my past enabled me to have compassion and empathy for my brothers and sisters in Toledo. Comparison of struggles are irrelevant because there is no way to measure pain. All things are equal from God’s vantage point… His love for each of us and our sin that creates a gap between each other and between us and God as well. I needed to point this out so there isn’t a misunderstanding that my life is at all in comparison to theirs. If one uses this man-made scale of measure, there is no way any of us can be beneficial to one another. Why? Because nothing compares to the One True God. Nothing. Isaiah 40 is a great reminder that this knowledge has been passed down since the beginning of time. And I encourage you to read it with new eyes if you struggle with the sin of comparison to evaluate your worth, or the worth of others. Once again, my writing is like sunlight hitting a prism– scatting into a rainbow. I will work on this as I continue to dialog my thoughts in the coming weeks and years. Nothing I say hasn’t been said before. Just as there are more songs to be written, we must not feel inhibited to spur on one another through life. 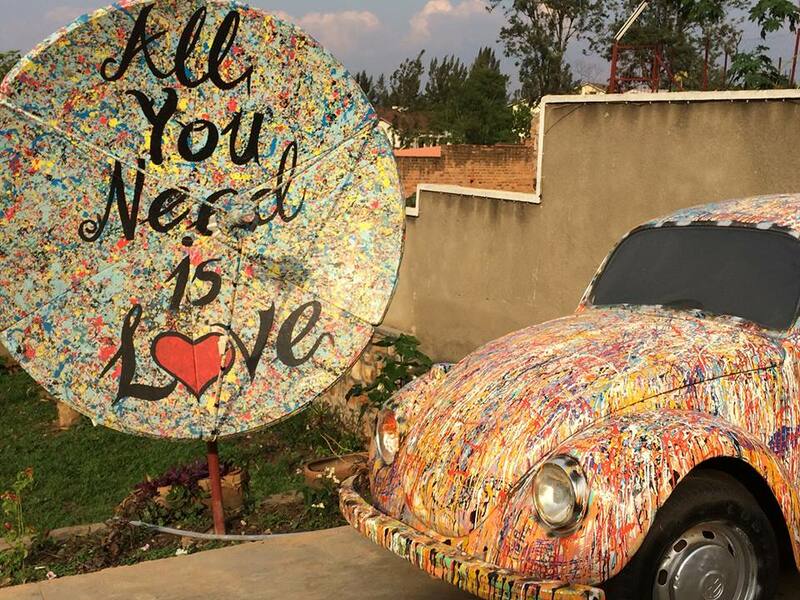 As I close, I’ll bring this home with repurposed artwork photographed on my mission journey to Rwanda earlier this year. Love was a common thread for both callings as well as my passion for Christ Jesus. As you reflect on what you have just read and you move about your days, I pray you are motivated by the pure and precious love of a God who is in control of our universe. He really is in control. His love is all you need.